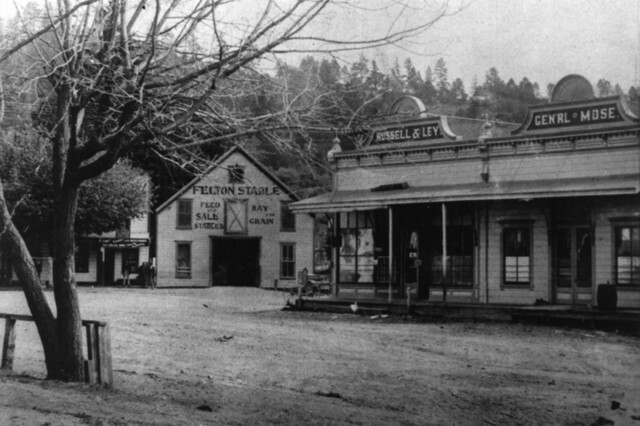 The Santa Cruz Mountains town of Felton was not always divided between old and new. Indeed, it was not always even Felton! The origin of the town is found the destruction of Rancho Zayante in the mid-1860s, when Isaac Graham's lawyer, Edward Stanly, began the long process of subdividing the property into parcels that could be used primarily for commercial gain. Large tracts went to the Isaac Davis Henry Cowell, Eben Bennet, George Treat, Thomas Bull, Frederick A. Hihn, and other early entrepreneurs who used it primarily for lime and logging operations. But the area immediately west of the confluence of Zayante Creek into the San Lorenzo River was kept by Stanly for the creation of a formal township, designed and parcelled by county surveyor T. W. Wright. 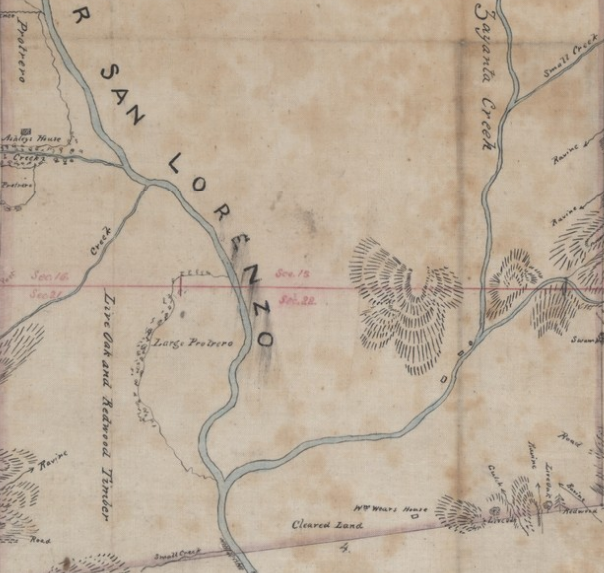 The area where Felton would develop in Rancho Zayante, as mapped in 1859, showing no parcels and few settlements. Felton was only formally called that from 1868 and Stanly named the town after his nephew, John Brooks Felton. The town centered on Baldwin Avenue—named after Stanly's wife, Cornelia Baldwin—and was quite small in its first years. Wright used Bull Creek to the south and Fall Creek to the north as the town boundaries, and the ford across the river to Graham's Grade marked the town center. Before Wright even began, the site already had a small schoolhouse, hotel, and general store—catering to lumber- and quarrymen, and gold miners—but more hotels, a larger schoolhouse, and other commercial and residential structures were quickly erected within the township. The entirety of the town remained on the west bank of the river, with only farms, a few scattered homes, and a fuse factory situated on the east bank. 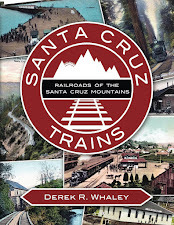 By the time that the Santa Cruz & Felton Railroad entered the town in late 1875, Felton was already a well-populated area, at least in comparison to other settlements within the mountains. Lumber had become the primary industry in the area and it was lumber that would put Felton on the map. In tandem with the construction of the railroad line from Santa Cruz to Felton, the San Lorenzo Valley Flume & Lumber Company had erected a massive lumber flume network that stretched up the valley for over eight miles to a mill situated north of modern-day Boulder Creek. While originally intended to continue all the way to Santa Cruz, the flume terminated instead at Felton due to a lack of water sources in San Lorenzo Gorge. 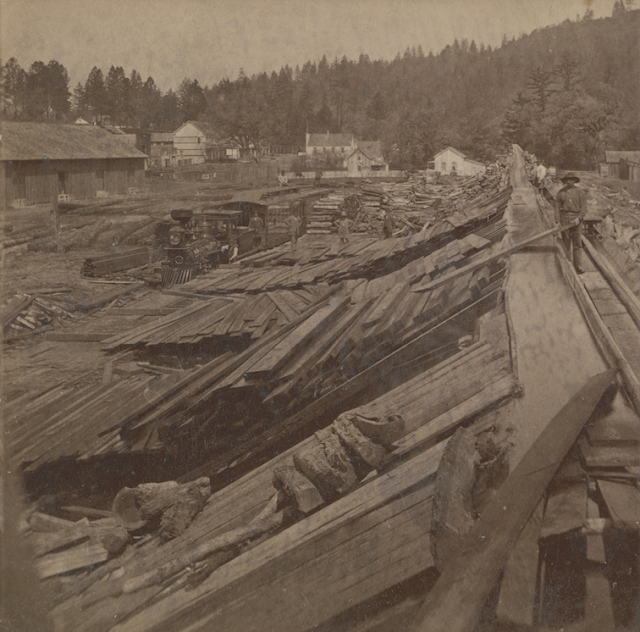 Thus, just south of downtown, a transfer station was built where lumber would fall off the flume into large piles and then be loaded onto waiting trains. The flume served as the original purpose for railroading in the Santa Cruz Mountains and the town of Felton thrived during these years as lumbermen, carpenters, and engineers came to the town to work at the flume exchange. thought to be Old Felton Depot. The reason for the decorations is unknown. A depot was eventually built at Felton, although when or where precisely remains unknown. No photographs of the depot or tracks on the west bank of the river survive except for photos of the Holmes limeworks. 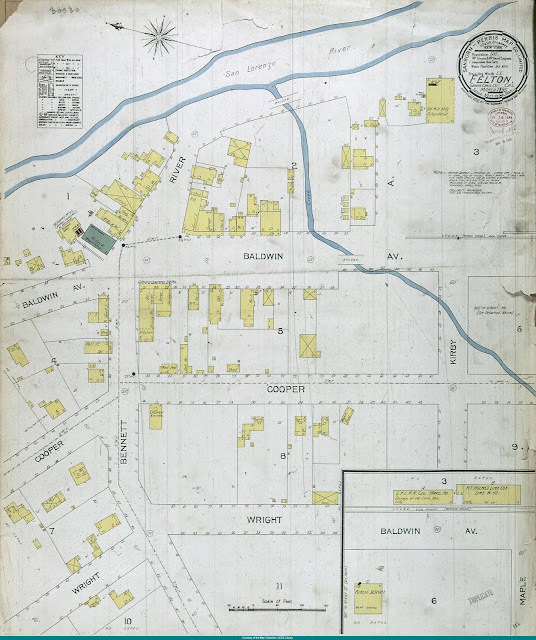 But Sanborn Fire Insurance maps from a later period show that the tracks forked south of town. A stereograph of the flume terminus proves that trains could park on either side of the flume for loading, so it can be assumed that the forked tracks in later maps are the same as these. The western fork was longer than the eastern and probably catered to the depot directly, in addition to the lumber deposited on that side of the flume. Near the eastern fork, the Union Mill and Lumber Company erected a planing mill to improve the quality of some of the lumber shipped out from Felton. 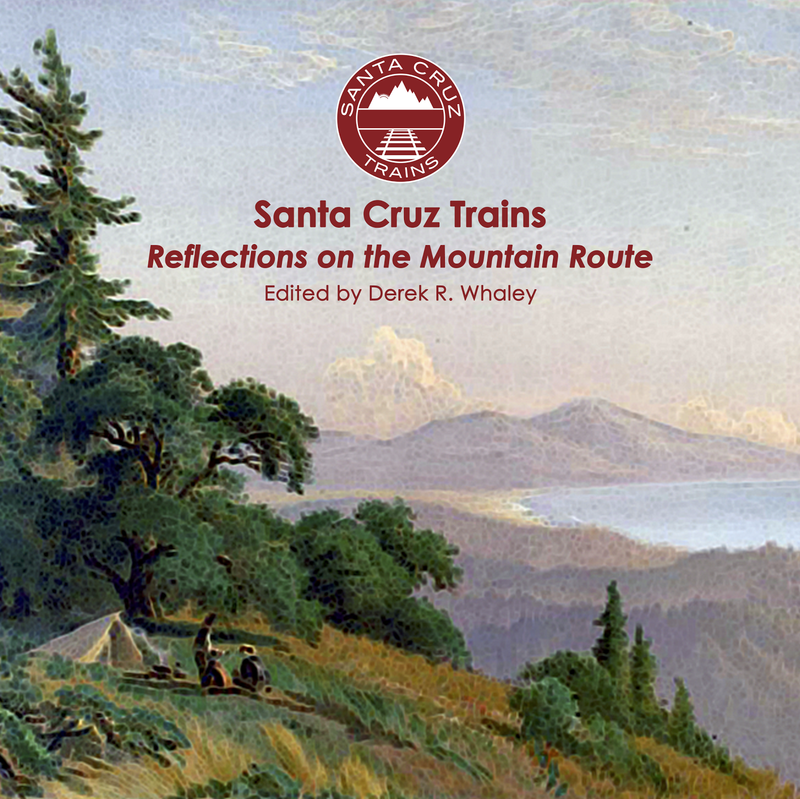 For ten years, the flume terminus gave Felton life and a purpose, but the purchase of the Santa Cruz & Felton Railroad by the South Pacific Coast Railroad in 1879 signalled impending change. The railroad built a new Felton Station across the river near the fuse factory and rebranded the earlier station "Old" Felton. At the same time, the company was finding the flume to be terribly inefficient, especially since increasing amounts of lumber were being cut at Pacific Mills (future Ben Lomond) and Boulder Creek. To remedy this issue, the Felton & Pescadero Railroad was incorporated in 1883 to replace the flume with a railroad. The company wanted to simply run tracks behind downtown Felton, closely following the route of the flume, but the townspeople protested and even incorporated as a city briefly to block the railroad from doing so. The railroad responded by laying out a new right-of-way across the river that completely bypassed downtown Felton. When the new line opened in 1885, the flume terminus was dismantled and the town began to decline. Lumbermen flocked to Boulder Creek while engineers joined the new railroad or moved away. Sanborn Fire Insurance map from 1895 showing the layout of Felton. Note the railroad tracks to the right with the abandoned planing mill beside the river. Also note the two warehouses in the pull-out box across from Maple (Hihn) Street. Although never intended to be taken as a judgment, the term "Old" Felton became an appropriate description of the town. After the railroad relocated to the east bank, the town was unincorporated. Soon afterwards, much of downtown burned down in a substantial fire on October 20, 1888. The only building that survives today from before this fire is the Cremer House, which was fortunate to be on the opposite side of the road from where the fire raged. 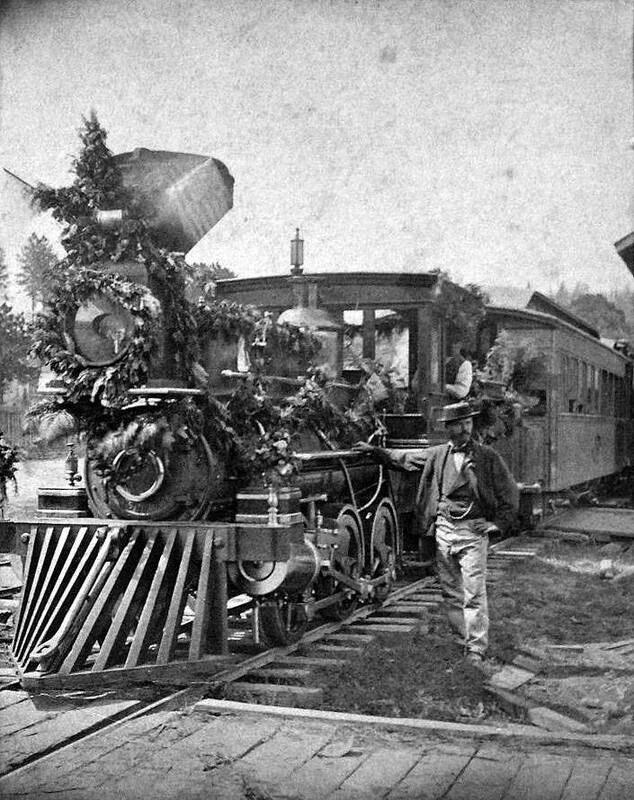 During the rebuilding, Southern Pacific, which acquired the South Pacific Coast in 1887, hinted that they would build a new depot in town, but this never happened. Instead, Felton devolved into a quiet settlement, populated by quarrymen, mountain farmers, and small tourist resorts and ranches. Welch's Big Trees became its primary attraction. In later years, especially after the San Francisco Earthquake and World War I, Felton became a seasonal resort community, with several successful subdivisions popping up south of town along the west bank of the river. Old Felton Station did not die easily, despite all of these changes. The station point remained on timetables for decades and continued to cater to various interests. The IXL Lime Company used the old Santa Cruz & Felton depot building for storage until October 1893, when it burned down. Meanwhile, the H. T. Holmes Lime Company erected a warehouse along the eastern fork to store lime barrels, at the same time leasing space in the surviving Santa Cruz & Felton warehouse for the same purpose. In 1897, regular passenger service, infrequent as it was, ended permanently and Old Felton disappeared from employee timetables. The Felton Branch became strictly an as-needed line and passengers would have to head over to Felton Station to catch a train. Perhaps surprisingly, the 1906 earthquake and subsequent standard-gauging of the tracks did not signal the end of the station and branch line. Indeed, Southern Pacific upgraded the tracks in town and replaced the southern route to Felton Junction with a much more proximate connection across the river beside the Felton Covered Bridge, converting Old Felton into a stop on the Boulder Creek Branch. 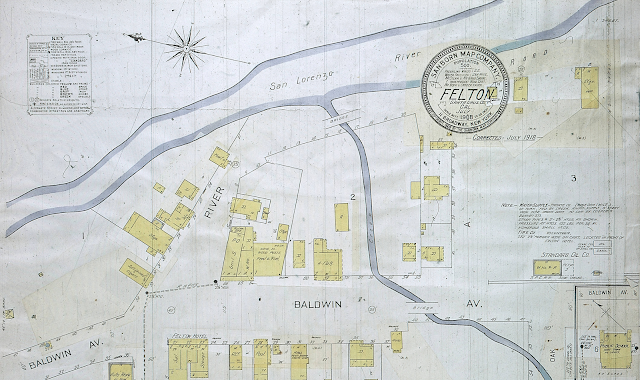 The town petitioned the railroad to re-route the Boulder Creek Branch through downtown Felton, clearly seeking to correct the misstep of an earlier generation, but Southern Pacific wasn't interested. In the end, the upgrade was done exclusively on behalf of the Holmes Lime Company, but downtown Felton benefited from it nonetheless. Standard Oil, which dominated the national automotive fuel industry at the time, installed a gasoline and oil station at the site of the old Holmes warehouse. The company used the adjacent Old Felton Branch tracks to bring in tanker cars, when necessary, giving the branch line an additional purpose for a few decades while also providing a needed service to the community. Standard Oil probably left around 1926, which is when Old Felton Station was officially abandoned by the railroad. Whether or not the tracks to the former station site remained in place after this time is unknown—the Holmes kilns continued to periodically use the tracks further to the south until 1939. By this point, Felton was rebounding and entering its third life as a year-round commuter town. The influx of people after World War II ensured that, while the railroading history of downtown Felton may be forgotten, the town itself would live on. The site of Old Felton station is not known with certainty. Since it was intended to be usable by the public, it must have been located on the western side of the tracks near the end of the western fork. This would situate it across from Kirby Street at the modern site of Kathy Nails. The original Santa Cruz & Felton warehouse was further to the south, approximately where the Mountain Community Resources building is today. The flume would have been situated behind this, terminating around the site of the Felton Presbyterian Church. No remnants of this period survive except for the Cremer House. Clark, Donald Thomas. Santa Cruz County Place Names: A Geographical Dictionary. Second edition. Scotts Valley, CA: Kestrel Press, 2008. From the photo of the flume, judging the distance to the buildings and mountains in the background, it looks like where the men are standing would be somewhere near Felton Presbyterian Church. I had always heard that the parking lot was part of an old rail bed. It was roughly in that area. In fact, if you look at the map at top, you'll notice that the church property is just about midway down the spurs. The church basically built was on top of the old flume bed. Any idea why the #56 photo has those initials written on it. It helps to ruin a nice photo (let's see some Photoshop! ), and is it suppose to be read as S.P.? Does it link to the train, or to the building below? I don't know Felton all that well, so the structure lacks meaning to me. In the early 1970s, I went with my family on a horseback ride on the hill in the middle-ground. The stable was where the train (in the #56 photo) is at, that is, about where the 'new' Mount Hermon Road was built. I didn't think to look for the old right-of-way. The hill had a forest, and we were being led by our guide in a single-file line along a trail designed for us rookie cowboys. It's supposed to stand for Southern Pacific, I believe. This must be from an old post card series. The postcard vendor was just pointing out ownership of the line, although I don't know why the S is reversed.